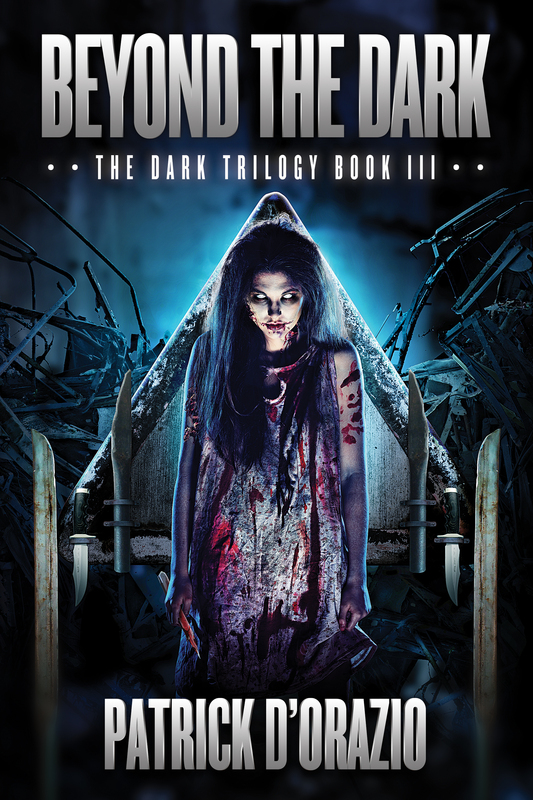 ‘Beyond The Dark’ Cover Art! It’s been a couple of hectic days for me with Permuted Press. I knew that things were coming along with Comes The Dark and was excited to see the links to several ways of purchasing the book-audio and ebook formats-show up yesterday. I also had seen some initial artwork for the revamped cover of Beyond The Dark a couple of weeks ago, but I wasn’t expecting it to be finalized just yet. Well, Jacob and Permuted Press have surprised me again. So you now have the chance to take a look at the cover art for the Permuted version of the third book in my trilogy. And I have to say that it is my favorite of the three new pieces of art. Perhaps that’s because I feel as if there is some deeper meaning to the picture-what the girl represents to me. I’ll leave that up in the air for now, but suffice it to say, it resonated with me from the moment I saw it. I hope that those who read the book understand why I’m saying all this. So without further ado, here is the cover of the third book in the trilogy, Beyond The Dark. If you’d like to check out all three covers, and the original ones for the Library of the Living Dead versions, click on the ‘About Me’ page. As I’ve said before, I love the original artwork that Philip R. Rogers created-he worked closely with me to get it just right. I also love these new covers, which are totally different. I guess the fact that they’re totally different makes it very easy to love both-different reflections in the same mirror. Comes The Dark…getting ready to rock n’ roll! Well, it’s been a great ride I’ve been on over the past few years. The Library of the Living Dead was very good to me when it gave me a shot as a new author. I think I was pretty good to them by producing a trilogy that sold a few copies here and there. Good enough that when the time to part ways with the Library was upon me, Jacob, the owner of Permuted Press, was very interested in re-releasing my novels. It’s been an interesting journey, with a lot of twists and turns. Of course, many of them occurred before the first book was ever published, but there have been quite a few since then. 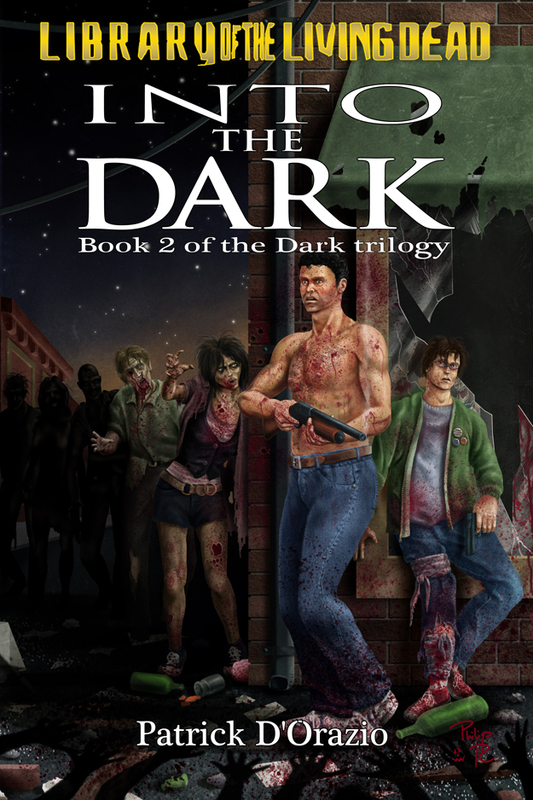 Some ups and some downs, including a gaff with the kindle version of Comes The Dark occurred that required some quick thinking. But all’s well that ends well, and that situation ended well. But now my books are in someone else’s hands, and I’m pretty excited about what’s to come. I miss the Library, and I miss Doc, my old publisher, but it has gone by the wayside, and I doubt, sadly enough, that it will ever publish something new again. 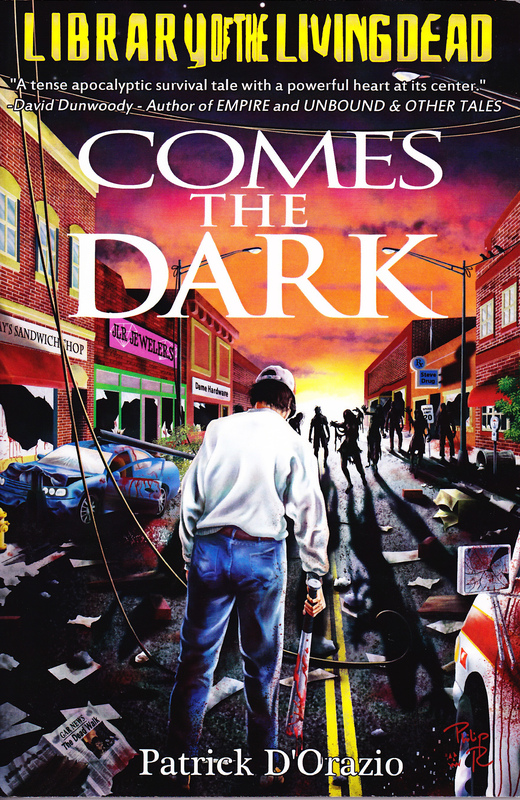 Comes The Dark is being re-released with new edits and new content in paperback, ebook, and audible versions by Permuted press this month. The same will be the case with the two sequels, which are coming in March and April. Some things I have added that weren’t included in the original Dark Stories-some freshly written, some dug up from the crypt where I keep a lot of old, dusty things that just need a little bit of a cleaning up before they’re ready to go. Well…not everything should see the light of day from that old crypt, but this stuff I feel deserves to get a good looking over by someone other than me. I have to admit, what I’m excited the most about the re-release of this trilogy is that they will be available in audio form. You see, for those of you who don’t know me personally, you may not understand why this is what gets me so excited. But if you do know me and my family, and know my son, Zack, you’ll understand why. I guess that makes me nervous for the book’s release in audio format as well-when your boy tells you that you’re his favorite author, but he hasn’t even read any of your stuff yet…well, that’s a lot to live up to. 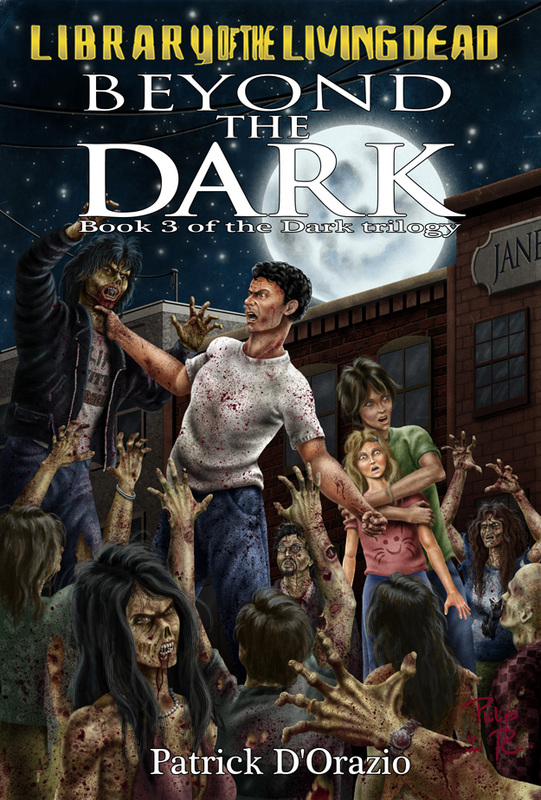 I’ve been informed that the ebook version of Comes The Dark will be ready to go in the next few days. Once I have a link, I’ll be sharing it. The paper version of the book will hit roughly around 2/26/13, as will the audio version. The great news is that the link is already up for ordering the audio version of the book, and my guess is it will be the same link for the other versions as well-just click on the option you prefer. So if you have a desire to check out my first book on tape (heh, I’m old enough to remember when they were on tape! ), click the cover art below and pre-order your copy. I’ll be posting again when the other versions are available as well, so stay tuned! I wanted to make a brief announcement at this time, which will be a prologue to a more important answer coming up in the not so distant future. Instead of having some sort of big build up, I’m just going to come out and say it. I have acquired the rights back to my three novels from the publisher, Library of the Living Dead. This decision was made with a great deal of careful consideration on my part, and is based more on where I feel things are going for me in the future rather than anything that has happened recently, or in the past. Let me put it another way. Michael West, aka Dr. Pus, the owner of the Library of the Living Dead Press has been a spectacular partner for me over the past few years. He is a man who genuinely cares for the authors who work for him and have aligned themselves with the Library. The Library is, and always will be, a home away from home for me. The people who have been involved with the Library’s message boards over the years, as well as the other authors, editors, and artists are all fantastic people. So this departure is only for my books, not for me, and it will not change anything else. It is mostly due to the fact that at present, Doc is not moving forward to publish new books as he takes a break from that for a time. Unfortunately, time stands still for no man, and since my plan is to produce two more novels in this series, I needed to regain control of them so I can be sure they are in a home where the opportunity exists to publish the new chapters in this saga. So for everyone out there who has purchased my books in either paper or electronic form, I thank you, as does Doc. All three books were top sellers for the Library, which makes me very proud and sort of stunned at how well they have done. If you have the paper versions of the three books, or want the first editions, my suggestion would be to grab them fairly soon, as they will no longer be available (at least new copies) very much longer. The ebook version of the trilogy has already been taken down and is no longer available on Amazon. The next time you see them, it will be very likely they will look a bit different than they do now. As I mentioned, I will likely have another announcement to make about these books in the not so distant future, as well as where I go from here with my work. So stayed tuned for that. Back in October of ’09, I wrote a review of Kody Boye’s Sunrise. Kody, who was under the age of eighteen when he wrote his book of the zombie apocalypse, clearly had talent, but his story was somewhat raw, which was something I expected from such a young man still learning his way in the world. At that time, I stated that the criticism I would have of the story would go hand in hand with what I find appealing about his writing style: his youthful idealism and exuberance. He wrote of romance in the time of the world ending with a great deal of zeal and perhaps with what some might call immaturity, although when seen through the perspective of someone who was not yet an adult, the perceptions he had should be understandable. Kody Boye has changed since then. Now, as an adult, he has taken the time to revisit his first novel and revise it in ways that are more in keeping with his increase in adult experiences and relationships. In its earlier version, I would have been very comfortable stating that the story was all about gay characters and their experiences during the zombie apocalypse. Now, with the revisions that Kody has made, I would say that this story is about the experiences a group of people have during the zombie apocalypse. Some of the characters are gay, and it remains a theme in this book, but while it remains a key part of Dakota and Jamie’s experiences and their existence as main characters, it doesn’t detract from a story of the apocalypse, of human relationships, and how people manage to not only survive, but to thrive during times of great peril and tragedy. Essentially, this story starts out with Dakota, a boy who has just turned eighteen, hiding out with his friend Steve, an Iraqi war veteran, in Steve’s apartment in the weeks following the start of the zombie apocalypse. With their supplies running out, they are forced to find a way out of their town with hopes of finding a safe haven. They end up at a modified apartment complex with several members of the military and several civilians there, including Jamie, a corporal who forms an almost immediate bond with Dakota. Several key characters are introduced and developed within the pages of this book, and much is revealed about them as they fight and struggle to survive the undead…and the unique, intriguing new creatures that appear later in the book that may or may not be a new hybrid creation. Kody’s writing has matured, and while some of his youthful abandon and exuberance has perhaps disappeared on these pages, it has been replaced by a sure hand that understands more about how adult relationships work, grow, and evolve. No, how some of them evolve is perhaps not perfect, but nothing ever is. Some of the imagery Kody creates seems a bit extravagant here and there, though he does paint a vivid picture that allows you to feel that you are a part of the landscape he is creating. Sunrise is a tale of the apocalypse, of relationships, and of the struggles we all face to find love, understanding, and a place to call home in a world filled with death and destruction. Kody Boye has matured as a writer and is someone to keep an eye on. I see great things in his future. “Live and Let Undead” is available on Amazon! Live and Let Undead, an anthology with my tale “Legacy,” has been released and is now available over on Amazon. Just click the cover image and you’ll be heading over there so you can check it out for yourself. I am really excited about this anthology. The story I wrote was truly inspired, and I wrote the first draft faster than any other story I’ve written. I loved the concept of this anthology: the idea of zombies not being the enemy, but being our domestic servants, much like you’ll find in the movie Fido. Of course, I suspect there were a lot of different takes on this particular concept. My story is certainly not what you might expect, or at least I hope not! I think that any true zombie fan will love this one, and should give it a shot. Check out the description from the back cover, including the list of authors who contributed to this collection. I’m sure you’ll recognize a name or two on the list…or several.